COURTHOUSE — State Del. 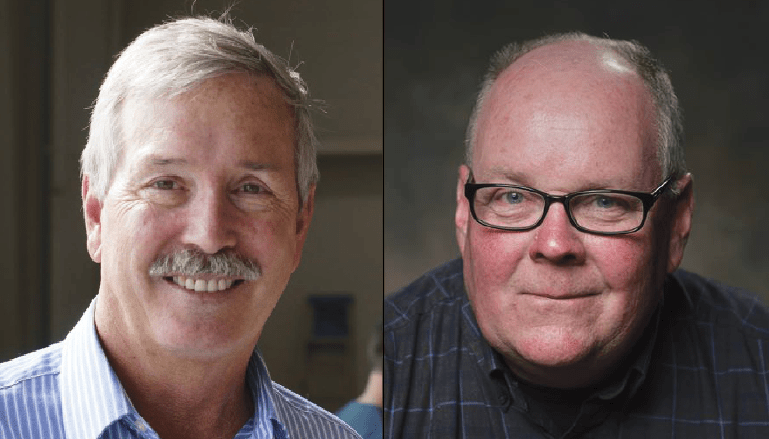 Barry Knight, a Republican seeking his fourth term, faces Green Party challenger Jeff Staples in the Nov. 3 election in the 81st House District. Knight, a Pungo native, is a farmer and businessman who also serves as vice president of the Virginia Beach Farm Bureau and as a board member of the Military Aviation Museum. His committee assignments include agriculture and appropriations, and he enjoys a significant fundraising advantage over the challenger – more than $260,000 on hand as of late August, according to his campaign financial disclosure report, compared to less than $250 listed as remaining in the Staples campaign’s most recent available disclosure. Knight said his goals include working for legislation to support agriculture. He said he also wants to fully fund the Virginia Retirement System and do away with an accelerated sales tax. Green Party candidate Staples, a mechanic from Chesapeake, has touted his refusal of corporate or political action committee funds for his campaign. Staples said he is running as voice for the working class. Staples supports funding for public schools, Medicaid expansion and the decriminalization of marijuana. Staples has paid for some of his campaigning through loans paying for advertisements on social media. He had raised $1,344 for the race through late August, according to campaign finance records. Public records show that Staples filed for bankruptcy in 2007. He told The Independent News that it followed a “bad investment” with a tool company. “The reason I went bankrupt is because they refused to work with me on things like inventory I tried to send back,” he said. Staples said the bankruptcy would not impede his ability to handle finances as a state delegate. Knight declined to comment on Staples’ bankruptcy. The incumbent said he had a number of issues he intended to tackle if voters grant him another term. Among them is aiding efforts to fight encroachment around Fentress, the naval auxiliary field. Both candidates discussed their concerns about the amount of menhaden being caught, including the proximity of the big fishery ships to the shore. Laurie Naismith, a spokesperson for the Virginia Marine Resources Commission, said menhaden falls under the code of Virginia. Staples said campaign contributions have influence over state menhaden regulation. However, Knight has not received contributions from the fishery, Omega Protein. Knight, who said in an interview that his position is based upon science, has supported limiting the cap of menhaden that can be caught. The Chesapeake Bay Foundation has touted its work with Knight and others on the sensitive issue.